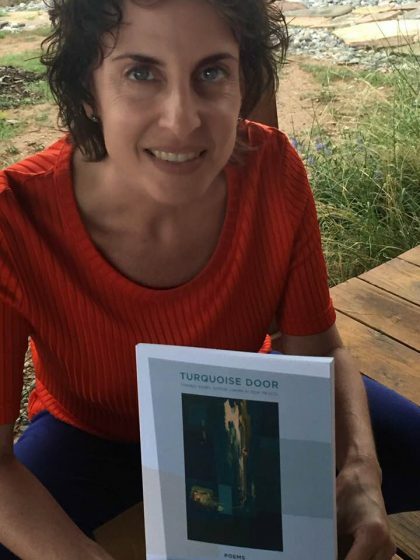 Lauren Camp, one of Black Earth Institute’s Emeritus Fellows and four time published poet, has recently released her fourth collection of poetry: Turquoise Door: Finding Mabel Dodge Luhan in New Mexico. Recently, Entropy released a rave review of Lauren’s newest work. 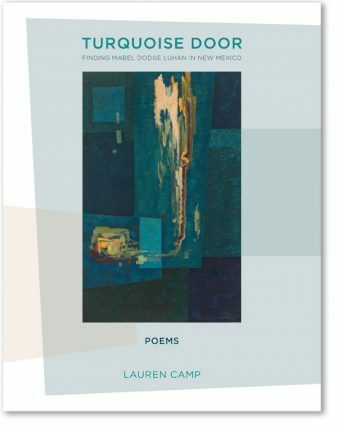 For copies of Turquoise Door . and the sweat and smokiness of her body when she arrived at the Mabel Dodge Luhan House in Taos. Set into the labyrinth of adobe homes that surround Taos, it is an oasis within an oasis. The Mabel Dodge Luhan House is part museum, part historic hotel and conference center, and home to the occasional writer-in-residence. When Arts Patron Mabel Dodge Luhan moved from Greenwich Village to Taos, New Mexico in 1917, she continued her tradition of gathering a creative community around her that included Martha Graham, Georgia O’Keeffe, D. H. Lawrence, Robinson Jeffers, Willa Cather and Ansel Adams, all who made what was then an arduous pilgrimage to thrive in her creative energy. I too have made this pilgrimage to Mabel’s house. I visited it in the winter of 2016, when it was hemmed in with snow and ice—and my memory melted with Camp’s first poems describing the heat of her journey. For the rest of the review.